One of the best ways to really enjoy the beauty and tranquility of the Tuscan countryside is to go on a horse and wagon outing among the vineyards, olive groves, villas and castles of Chianti, the great wine producing area of Tuscany. I recommend this activity to families with children but in fact it’s a wonderful experience for visitors to Tuscany of all ages. 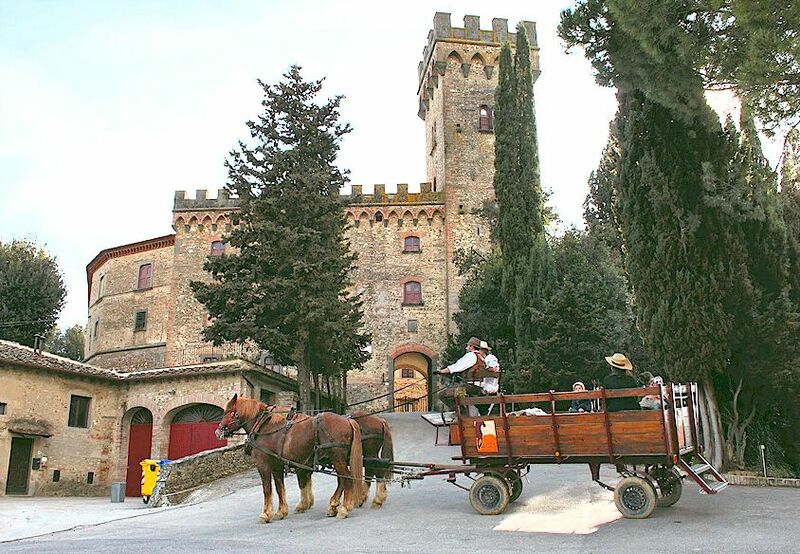 One of the best selections of horse and wagon tours in Tuscany is offered by Luca Perrotta who is based near Montespertoli about an hour from Florence, and it is from Montespertoli that his tours set out into the neighbouring areas of Chianti. Luca takes his guests along little travelled sealed roads and, whenever possible, along the famous “strade bianche“, the dirt trails, used by farmers to reach their vineyards and olive groves. 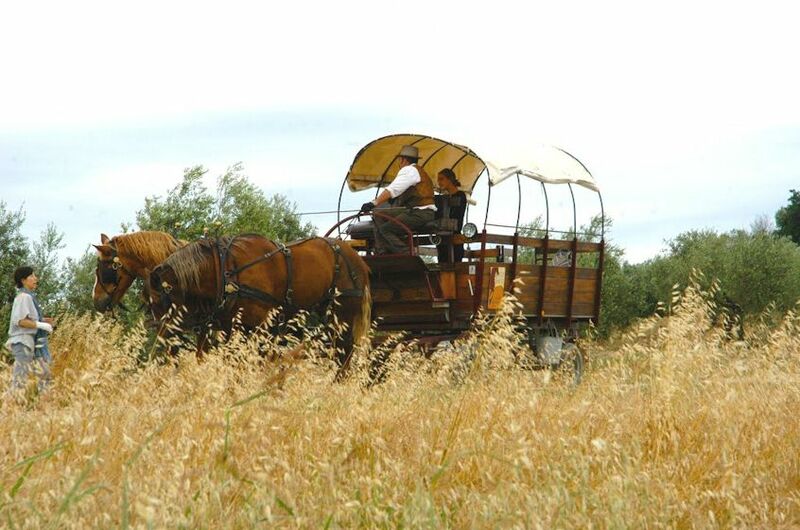 Luca’s horse drawn wagon excursions through Chianti can be shared or private, short or long (a whole day) and chosen from pre-planned options or created to match your wishes. Wine tastings, lunch and even performances by clowns and circus performers can be arranged, especially for tours related to birthday celebrations, weddings and so on. More about Luca’s horse and wagon excursions in Tuscany. « Accommodations in Tuscany with whirlpool (Jacuzzi), Turkish bath (hammam) and gym.